My sister Dana and I both got waffle makers from our significant others for Christmas, so there have been a lot of waffles around lately. 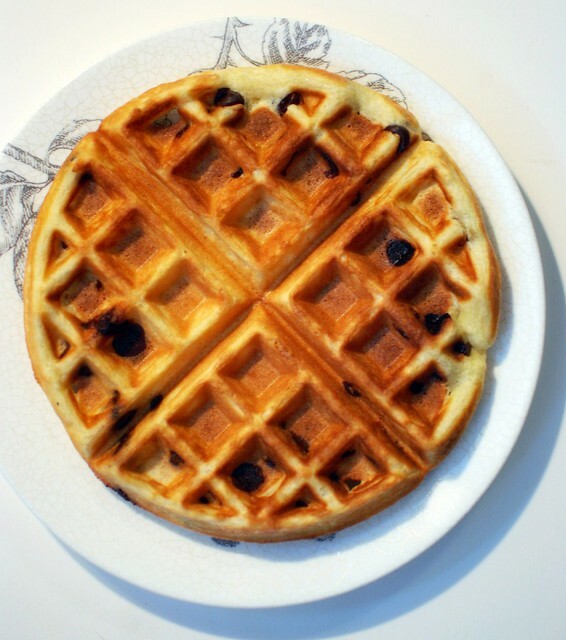 I've been using waffle mixes, but today I decided I should make them from scratch. It's just as easy as a mix, but with maybe one or two more steps. These are as good as any mix I've tried, and so much cheaper. Heat up your waffle maker. Mix together the dry ingredients in a large bowl, pour in all the wet ingredients, and mix well. Pour however much your waffle maker needs, sprinkle in chocolate chips, and cook according to your waffle makers specifications. Makes about 3 1/2 cups of batter, which makes however many waffles that is for your waffle maker (about 6 for mine). I got a waffle maker for Christmas too. Except I like adding a bananna or 2 to the mix to make bananna chocolate chip waffles! AMAZING! Yum. Totally. Here's a thought: imagine two of these with ice cream in the middle!!! I've been coveting waffle makers for a while now, but my kitchen is bursting at the seams already so I don't know where I'd put it! 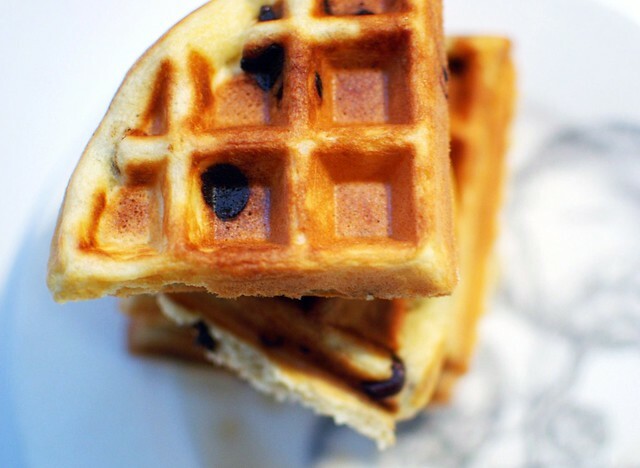 I'd throw a tsp of vanilla extract in these waffles to add another layer of flavor. They look great! Another reason that i need a waffle maker! These look delicious!